This one cracks me up! This pattern is begging for some yarn-bombing — more than just tree cozies! Very funny. 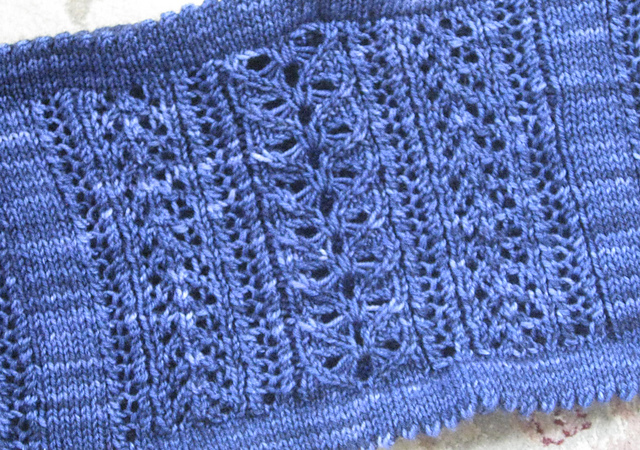 This very pretty lace cowl is irresistible. I tech edited it for the designer, and then immediately cast on. 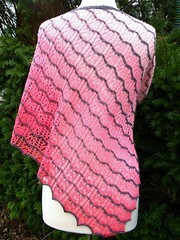 Amazing intarsia! 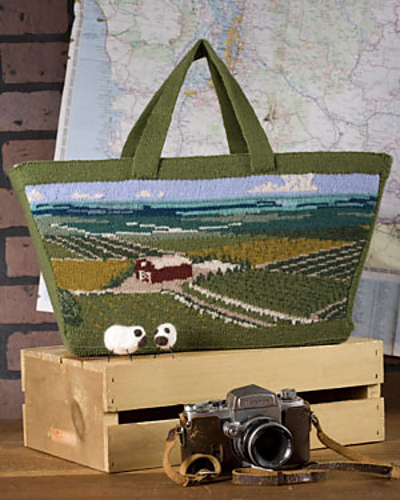 Almost enough to hook me back in … I swore off intarsia in the past, but I really want this bucolic scene!